It seems that nowadays we read less and less. Or rather, it seems we read fewer and fewer books. The crisis of this powerful means of communication is now supported by a thousand statistics. For most people, it seems that they are bombarded with too many messages to find the time to devote themselves to books. Undoubtedly, compared to television and social media, books require more zeal and concentration and, in an increasingly frantic and superficial world, this makes them less attractive than other means of communication. Nevertheless, I’m still deeply convinced, that those who regularly predict the inexorable disappearance of books are wrong. This is because books have a force that only books possess and that, even in the age of Facebook and Twitter, this force is still irreplaceable. Books keep on being the ideal vehicle for the irrepressible need of men and women to give voice to their feelings and to pass on their knowledge, overcoming the barriers of space and time. This is what continues to make books able to move and fascinate us. And it makes no difference if today they turn into immaterial objects, which we can download with a click on our tablets. A book is not, in fact, just an object, but it is first and foremost an intention: the vector of a creative energy that can change our existence. There are many books that have influenced my life and my views, making me what I am today. However, I can say that only a few have really produced a deep change. And it is of one of these in particular that I want to tell you. About twenty-five years ago, I was on holiday in London. As I always do (at least in the places where I still find them), as well as visiting museums and monuments, I also visited various bookshops in the area of Charing Cross Road, a place famous for its second hand and antique bookshops. 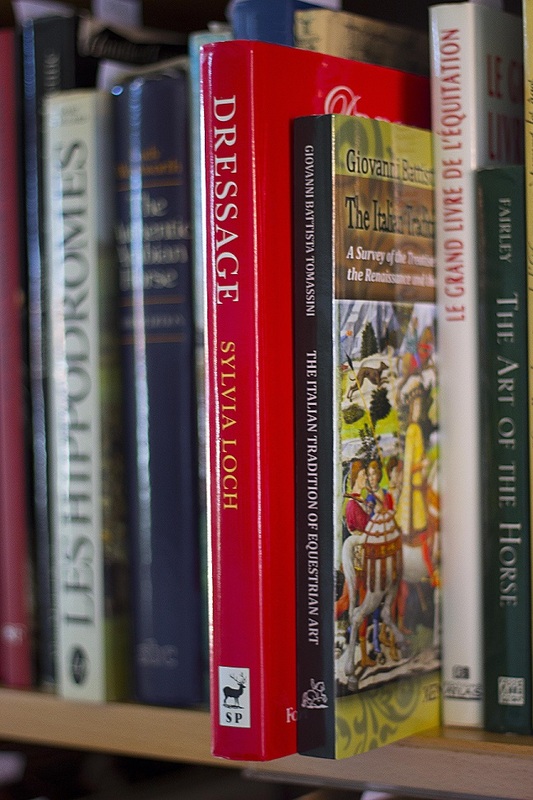 At that time, I already had been riding horses for more than a decade and I had experienced how difficult it was to find books about horseback riding in Italy. For this reason, my curiosity was particularly attracted to the shelves devoted to publications about horses and the equestrian art. I remember that while I was scrutinizing the volumes in a very large, four story bookshop, my gaze was captured by a big, beautiful book. The cover was superb – a magnificent picture by the famous equestrian English painter John Wotton (1682-1764). 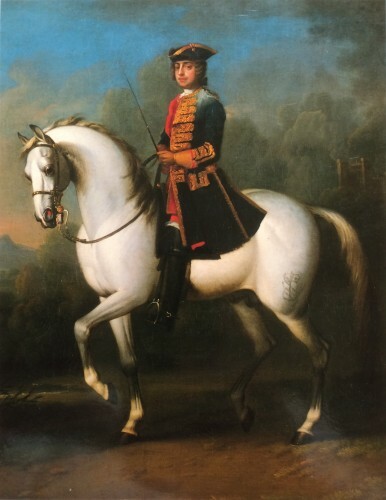 It portrayed Ferdinand Albrecht, later Duke of Brunswick-Lüneburg, in his eighteenth-century dress, mounted on a beautiful gray stallion. For me, that image finally summarized the elegance, strength and dignity that I, vaguely, sensed as the most attractive essence of horseback riding. 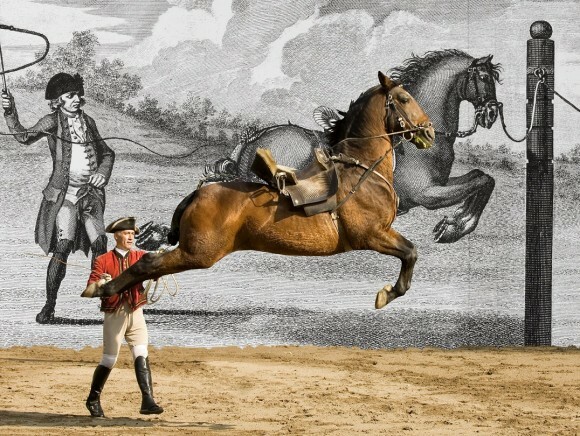 That picture showed me an ideal of rigor, grace and lightness, but also of strength and agility, that I had hardly ever seen in contemporary riders and that, in that moment, I realized belonged to a different era and to another way of conceiving equitation. That revelation brought me a new consciousness: that was the way of conceiving and practicing the equestrian art that I wanted to become mine too. 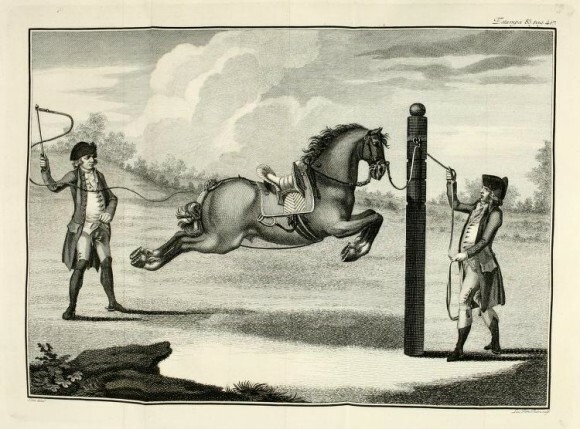 The charm of an equestrian knowledge refined over the centuries. I already began to devour the book on the underground that brought me back to the hotel. 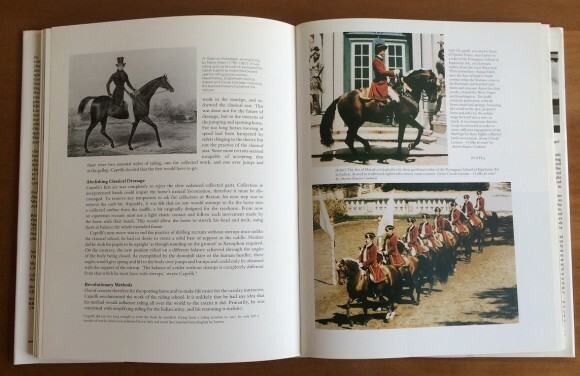 I was fascinated by the beautiful pictures and by the story of an equestrian tradition rooted in classical antiquity. No matter if I did not understand everything of that story. There were, in fact, names and technical terms that I confess, at the time, I had never heard before and I did not comprehend. But I understood that in those pages, an ancient wisdom was evoked: wisdom developed in millennia of coexistence between man and horse. The same wisdom and skill that made possible that miracle of refinement that struck me in the cover picture of the book and that I also found in many other pictures of that beautiful edition. But above all, two things were clear to me. The first was that the culture of my country had, in the past, a major role in the evolution of the equestrian tradition. The other was that there were still places in the world where this tradition was kept alive by people who may still be considered its interpreters and custodians. These two certainties were a good starting point. At that time, I was a young student of literature, who was on the point of discussing his graduation thesis. I had already begun to publish essays and reviews in various magazines and I dreamed of a career in the field of research. It was, therefore, quite logical that reading this book suggested to me the idea to deepen the study of the first Italian equestrian treatises. 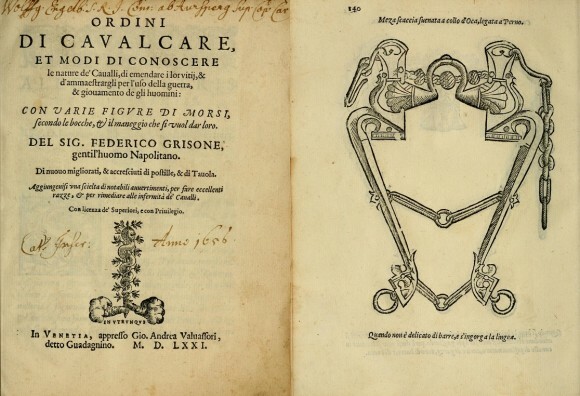 I still remember the great emotion I felt while leafing through, for the first time, a sixteenth century edition of the Ordini di cavalcare (Rules of Riding) by Federico Grisone, at the Central National Library in Rome. Those readings sent my mind adrift. Some years before I already visited Jerez de la Frontera, in Spain, and I was dazzled by the beauty of the famous cartujanos horses and by the skill of the jinetes of the Real Escuela. Now I wanted to broaden my horizon. Among the illustrations of the book that had most attracted my attention, there was a picture that showed a group of Portuguese riders, mounted on beautiful Alter-Real stallions, performing in the garden of a mysterious Palace of Queluz. I had found another destination for a new equestrian pilgrimage. You should consider that at the time the Web did not exist. Today if you want to know something about a place or a person, you just search for them on Google. At that time, instead, someone had to tell you about it. Or you should have the luck to stumble on a newspaper article, on a book, or on some rare television documentary. My first riding master (who had worked in Spain with Sergio Leone’s crew) often told me about the splendors of Andalusian horsemanship. She mentioned once that in Portugal there were riders who were considered even more refined. And it was exactly for this reason that that picture of the equestrian carousel in the gardens of Queluz ignited my imagination. A couple of years later, I crossed Europe in a camper with a group of friends in the direction of Portugal. My friends were simply on holiday. 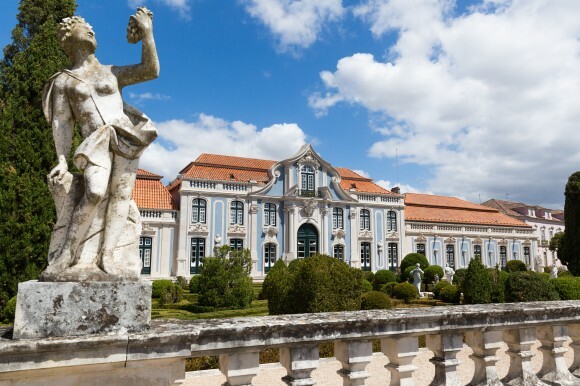 I had, instead, a clear goal: Queluz. We arrived early in the morning. Outside of the magnificent palace there were few cars parked. At the ticket office I did not find any trace of the presence of an equestrian school. I asked the guy who was at the entrance. He looked at me quizzically. Then, when I finally managed to explain what I was looking for, he said that there was no school there. The horses were in Lisbon, at the Jockey Club. They had performed a few times in the gardens of the Palace and it was perhaps in one of those occasions that the picture I had seen was taken. In short: a failure. However, it was during that trip that, in a small bookshop near the famous cafe A Brasileira, in the center of Lisbon, I found the French edition of Nuno Oliveira’s complete works (Éditions Crépin Leblond) and the beautiful volume by Fernando Sommer D’Andrade, about Portuguese bullfighting on horseback. More tracks for me to follow and other ideas to make my imagination run wild. Since then, many years have passed and I returned many times in Portugal. 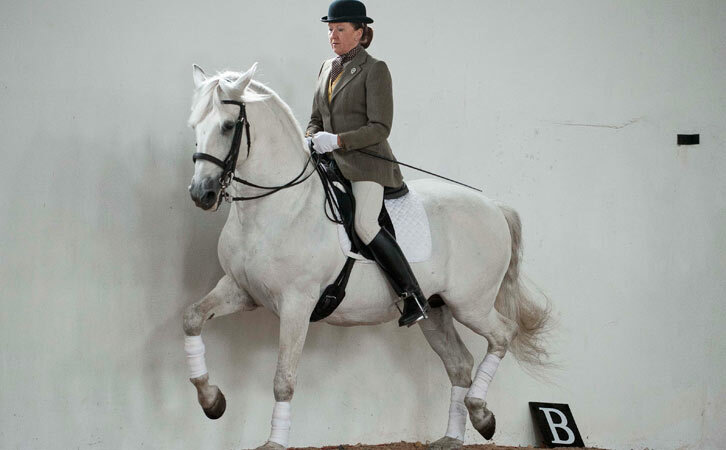 Not only I have seen many shows of those incredible riders of Queluz who form the Escola Portuguesa de Arte Equestre, but I also assisted in their training, visited their stables, met them personally and become friends with many of them. I also had the pleasure and honor to take riding lessons from some of them. Meanwhile, although I became a journalist in the field of politics, I kept on studying the ancient treatises about horsemanship and I finally published the results of my research in a book. 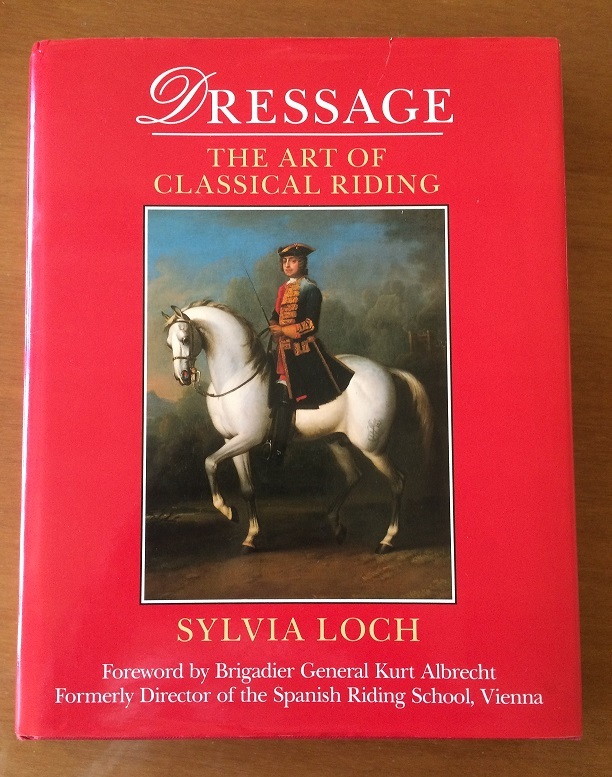 I do not think this would have happened, if one afternoon many years ago, in London, I hadn’t bought Dressage: the Art of Classical Riding by Sylvia Loch. That book has literally changed the course of my life. It induced me to travel, to study, to write. It opened a window to a wonderful world and showed me a path along which I met many people and great friendships were born, I read books, I learned a lot of things, I got excited, and I had fun. All of this was gifted to me by a person who I did not have the pleasure, nor the honor, to meet personally, but in spite of this, I am grateful to her as to a benefactor. Every writer first of all obeys to the personal need of expressing his dreams, of giving shape to his own experiences and, in some cases, of exorcising his obsessions. When this impulse is translated into action, and feelings and ideas become written discourse, the author abandons his work to others, hoping that they can benefit from it. It is impossible to determine which short circuits trigger the decisive spark, but some books speak to us differently. They touch keys to which we are more sensitive and so they produce great changes. I recently joined the group that Sylvia Loch founded on Facebook and I began to regularly post small excerpts of my articles. On several occasions Sylvia’s comments confirmed to me that she appreciated what I had published. But it was an extraordinary accident that induced me to write this article and to let her know what the influence her work has had on my life and to tell you an example of the unique power of books. At the beginning of this summer, I visited the beautiful equestrian library that has been recently opened in the Palace of Queluz (you can read the article I wrote for this blog by clicking on the following link: The new Equestrian Art Library in Queluz, Portugal). 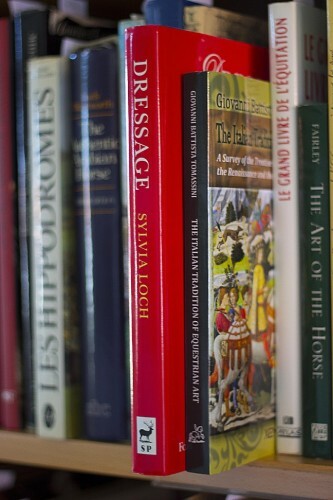 After seeing, with enchanted eyes, the shelves on which are preserved many precious ancient books about horsemanship, my gaze was drawn to the shelf of recent publications. That’s when, with a soaring heart, I discovered the American edition of my book right next to that volume by Sylvia Loch’s from which everything began so many years ago. The circle had finally come full. Thank you, Sylvia! – In reply to: Louise Cash, D.C.
I’m very glad you like my article and my posts on FB. Sue gives me a great help editing my writings in English. This blog would not exist without her. She is really a generous friend. I hope you will keep on following my blog and that we will keep in touch.